With our marriage vow renewal package you can do just that when we welcome you for the weekend and take care of all the arrangements as you renew your marriage vows. 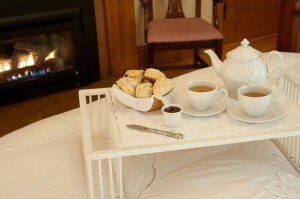 Included in the package are two romantic nights in a deluxe room with a private bath, a working gas fireplace and full breakfast each morning, in bed if you like. 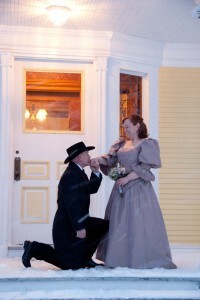 The marriage vow renewal ceremony with a justice of the peace can be inside the elegant inn or outside on our beautiful lawns with the Vermont mountains for a backdrop. Your private candle-lit dinner for two including a small cake will be served after the ceremony. The special package also includes chilled champagne or sparkling juice, a small bouquet of flowers and a certificate of vow renewal. Bring along the family or some friends and we’ll give them 10% off regular room rates. Add extra nights or one of many Vermont activities like a carriage or sleigh ride, wine tasting and winery tour, or exciting glider ride. Why should the newlyweds have all the fun! There is a surcharge for Christmas and foliage weeks. An add-on photo package is possible.